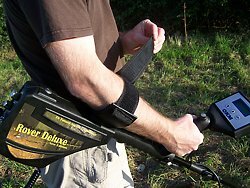 The 3d metal detector Rover Deluxe is an upgrading of the ground scanner Rover C and specially interesting for treasure hunters, who are searching for gold, silver, coins, jewellery or other precious artifacts. The Rover Deluxe satisfies all treasure hunting needs by means of its functionality and best performances in various soils. The new edition of Rover Deluxe is a convertible gold detector, which can be used in 2 different detecting modes. 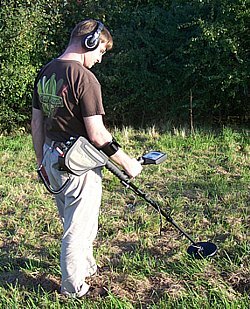 The first mode is the "Metal Detector" mode for fast treasure hunting or metal detecting by sound. The integrated metal detector with metal discrimination is activated and via the sound signal the gold searcher can easily detect metals and discriminate between the materials like iron, gold, silver or aluminum. The wireless stereo headphones allow an incredible noiseless detecting sound. 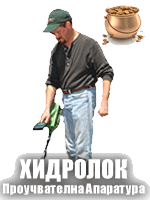 This metal detecting mode is optimal for beach hunting or coin hunting. The second mode is the 3d ground scanning mode. In this professional mode of operation the treasure hunter can obtain a three-dimensional graphic from the underground including buried treasures like chests, precious metals, hidden voids, jewellery or coins and much more. 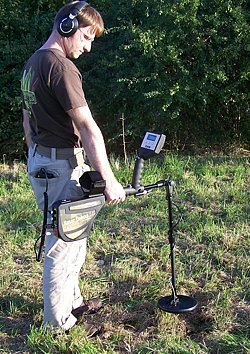 This metal detector for treasure hunting can reach high depth and so it is optimal for deep seeking. The integrated metal differentiation (discrimination) makes it possible to filter out certain types of metals during the ground scanning. The usage of the integrated discriminator, which can be activated also during a graphical measurement, allows a operation even in high mineralized areas to reach high depths. This treasure detector is most suitable for the usage in areas with difficult access because of the small size of the coil probe. After every measurement the recorded ground values can be analysed in detail with the metal detector software Visualizer 3D. In this way it is possible to determine the size and depth of located objects. Also it is possible to draw conclusion to a special type of metal, dependent on the adjustment of the discriminator. Graphical representation of coins with activated metal discrimination displayed in the metal detector software Visualizer 3D. 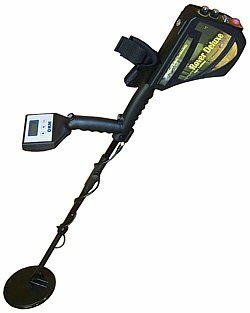 Because of the integrated microprocessor technology ground balance, measuring of depth and data storage will be performed automatically by this treasure hunting metal detector. 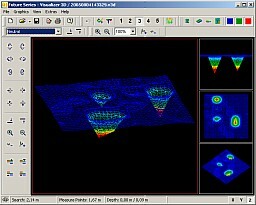 The evaluation take place at the mini laptop where the scanned area can be analyzed in a three-dimensional graphic inside the software Visualizer 3D. Super Sensor: With the optional available Super Sensor the functionality of the Rover Deluxe can be improved. 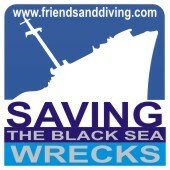 The depth performance will be increased compared to the standard probe. It allows 3d area scans with high resolution as well as discrimination between ferrous and non-ferrous metals.